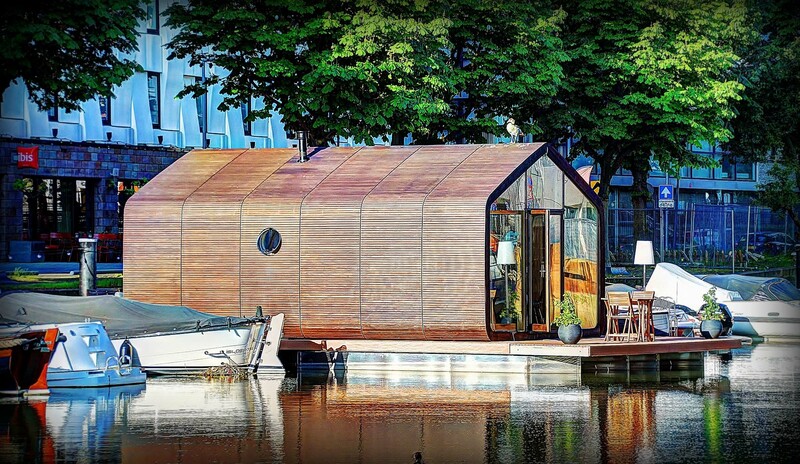 Our Wikkelboats are romantic and unique tiny house alike boats located in the city centre of Rotterdam, in the beautiful & upcoming Maritime District. Amid highraise buildings and an idyllic harbor you can enjoy purely Dutch design and you definitely fall in love! 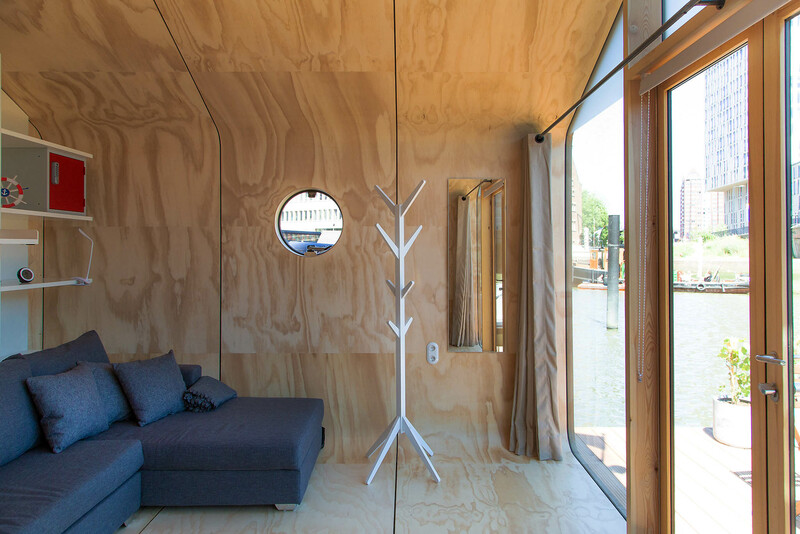 Wikkelboat’s smart interior offers you great comfort and is perfectly isolated. Free check-in service of luggage at nextdoor Ibis hotel before check-in time so you can stroll around town until official check-in time.Each Wikkelboat sleeps 2×2 persons as both rooms have a high quality Murphybed (145×200) for 2 persons. Wikkelboat Nr. 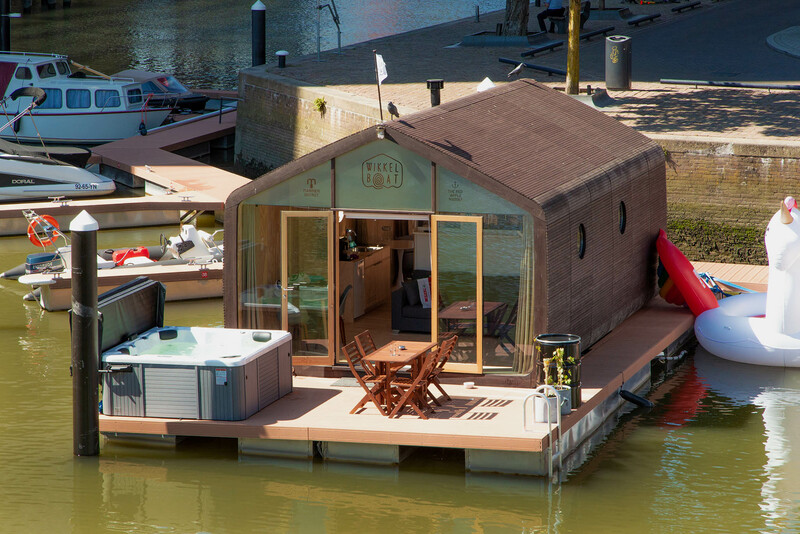 1 (WB1) has 2 terraces and an optional inflatable jacuzzi, Wikkelboat Nr. 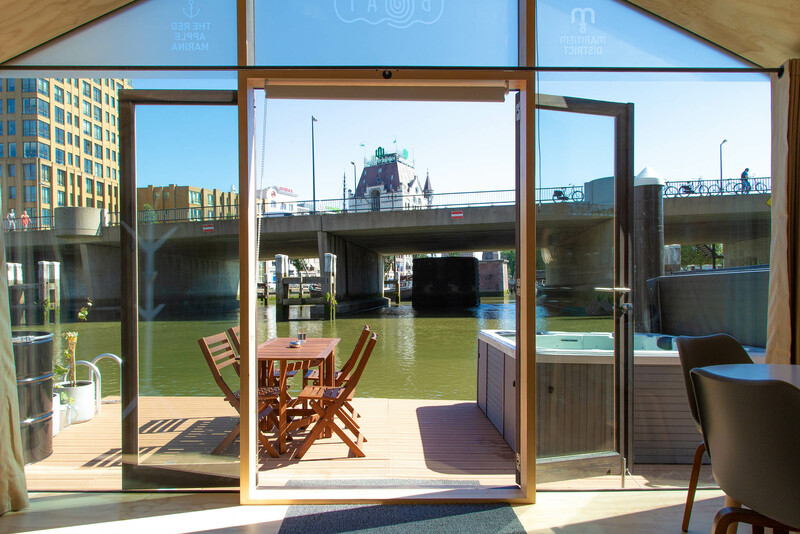 2 (WB2) has 1 slightly bigger terrace with luxurious jacuzzi on it and includes two cool Stark e-bikes free to use (rentable for guests of Wikkelboat Nr.1 as well). Check availibility and prices here.